Ducati India has launched the 2018 Monster 821 at Rs 9.51 lakh, ex-showroom, India. Instead of doing a regular press event, the Italian manufacturer chose to go green and do the launch on Twitter. 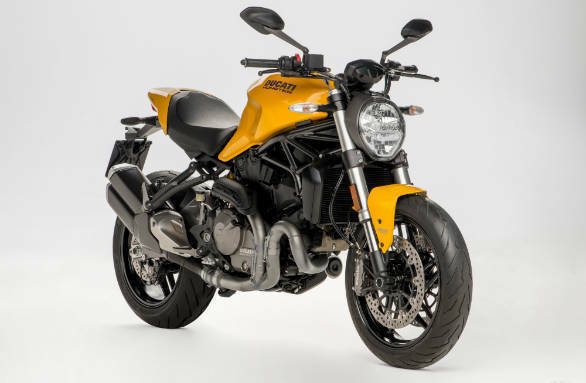 The Ducati Monster 821 is an important offering as it celebrates the 25th anniversary of the first Monster 900, which is the inspiration behind the Monster 821. The Ducati Monster 821, at that price, surely seems a tempting buy. 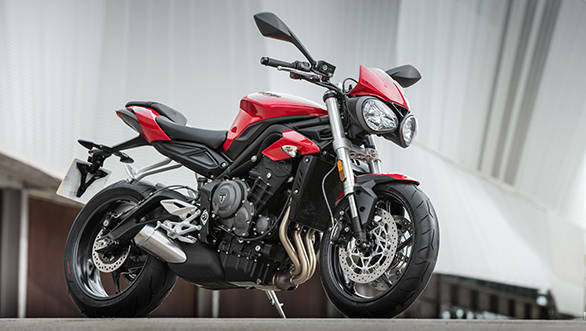 But then so does its staunch naked sport rival, the Triumph Street Triple S. Priced at Rs 9.32 lakh, ex-showroom, the Street Triple S is powered by a new 765cc 3-cylinder engine that has both more bore and stroke than the old (Daytona) 675 but is more oversquare in design. 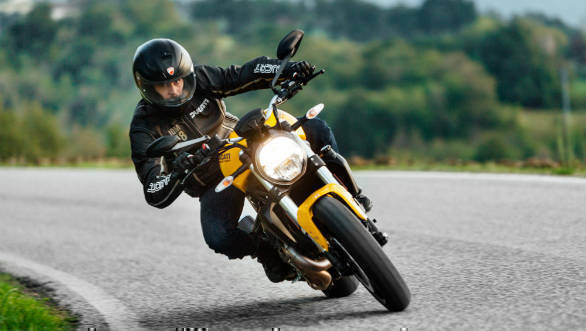 Does the Ducati Monster 821 have what it takes to beat the Triumph Street Triple S? 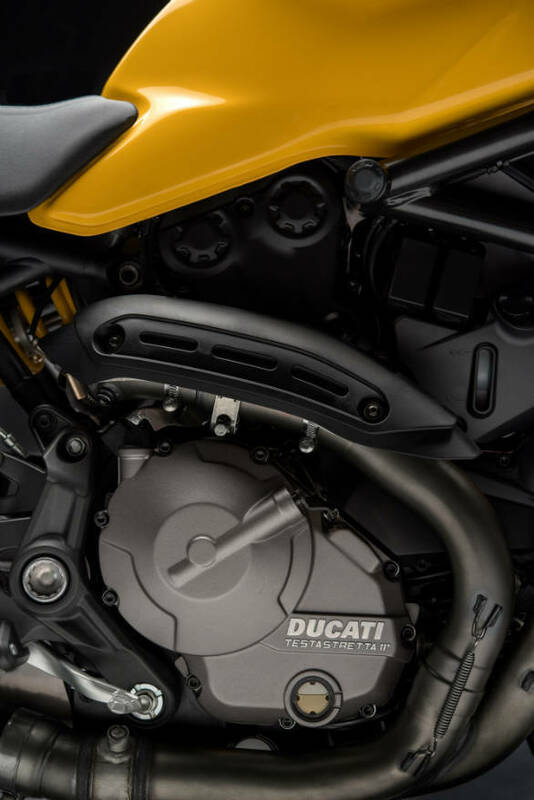 The 2018 Ducati Monster 821 comes with a new dual silencer that Ducati says is both contemporary as well as classic. This naked Italian also gets a brand new colour TFT instrument cluster that also displays the selected gear as well as a fuel indicator. 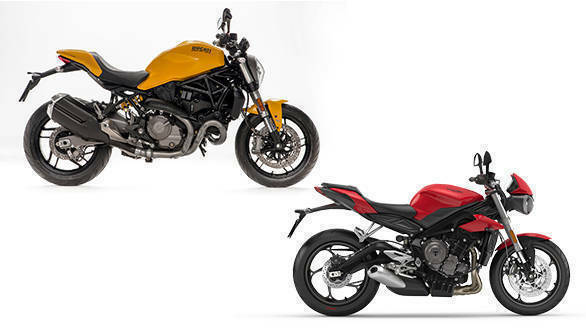 Ducati has also introduced the new Ducati Yellow colour that's exclusive to the Monster 821. The colour will be in addition to the Ducati Red and Matte Black colours. Coming to the Triumph Street Triple S, it gets a sleek new bodywork that is fresh but extremely familiar. The headlight and crest look reminiscent of that on the new Triumph Speed Triple - a model Triumph still doesn't retail in India. The rear of the motorcycle owes a lot to the Triumph Street Triple RX model which, in turn, borrowed the sleeker tail unit and split seat configuration of the Daytona 675. But these panels and the smaller radiator cowls make the new Street Triple look very good indeed. The 2018 Ducati Monster 821 is powered by a 821cc, liquid-cooled Testaretta L-Twin motor that develops 110PS at 9,250 and 86Nm at 7,750rpm. The engine is mated to a six-speed transmission. The Monster 821 also gets the Ducati Safety Pack which includes the Bosch ABS and Ducati Traction Control or DTC. The bike has three riding modes- Sport, Touring and Urban. 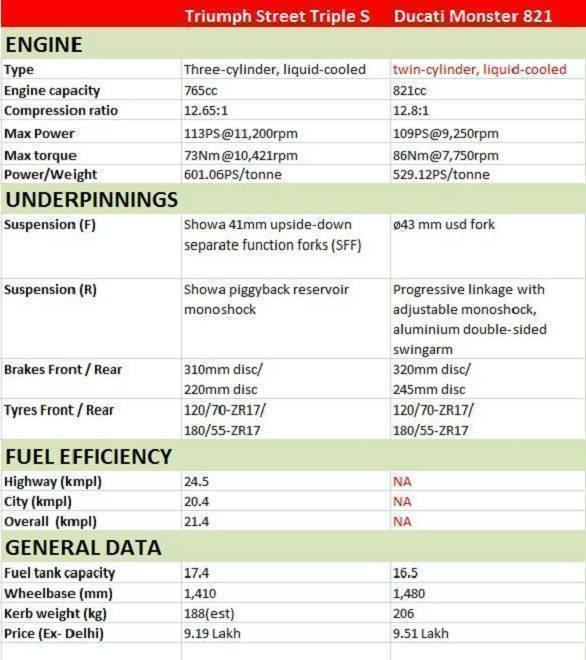 On the other hand, the Triumph Street Triple S makes 113PS. See our technical story for the full low-down about the Street Triples. The engine is matched to a 6-speed gearbox with chain final drive. The new engine is liquid-cooled and fuel-injected but now the platform incorporates ride-by-wire. 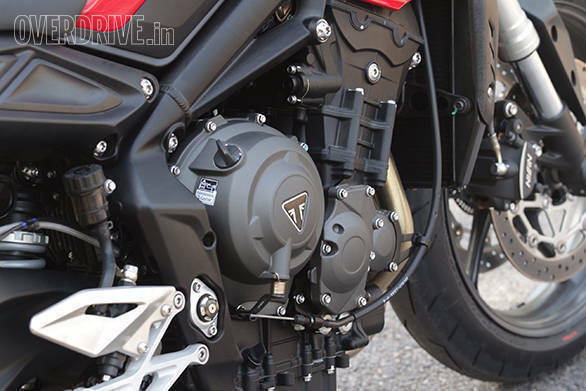 In terms of electronics, this brings traction control to the Street Triple for the first time. We have already ridden the Triumph Street Triple S and were impressed with the motorcycle on various grounds. While the previous-gen Ducati Monster 821 too was impressive, if the 2018 iteration too maintains that, is something that we will find out when we ride it in India. A detailed road test and a real world comparison should follow soon. Here is a look at how these two offerings fair against each other.